Surrounded by incredible mountains and famous wine farms, it is in walking distance of Franschhoek village — the gourmet capital of South Africa. Wine tasting, hiking, biking, horse riding and many other activities are on the doorstep. 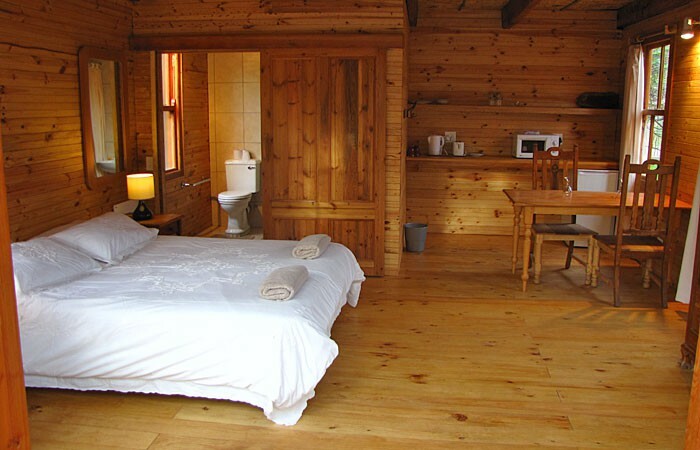 The log cabin style rooms will quickly absorb you into this "gem of a spot" where the whispering of the wind in the trees and the gurgle of the river, as it makes its way round the bend, tend to command a peaceful silence that is appreciated by all the Otter's visitors. Separate, but close by, is the Otter’s Barrel, the fully-equipped self-catering area next to the river, where all visitors meet, greet and relax. All rooms have en suite bathrooms. Linen and towels are provided. Our Guinea Fowl adjoining rooms offer 3 rooms with double beds, and 2 with twin beds. 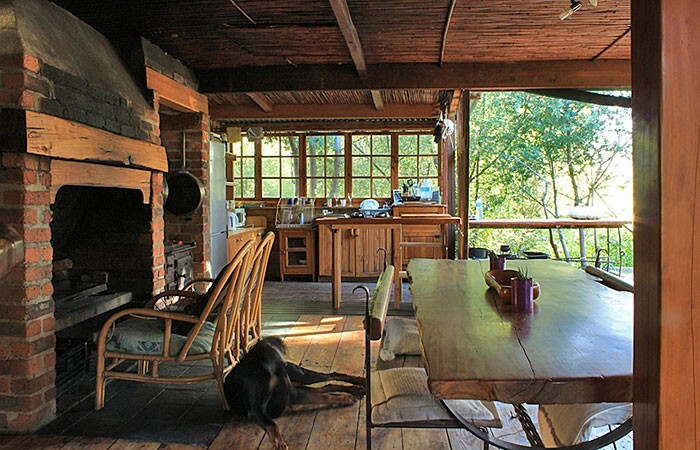 They have double doors opening onto a deck, which is a great place for an evening drink. These are compact rooms with open hanging space, overhead fans and wall heaters for winter. Each room has a toilet, basin and shower en suite. R500 per room per night. 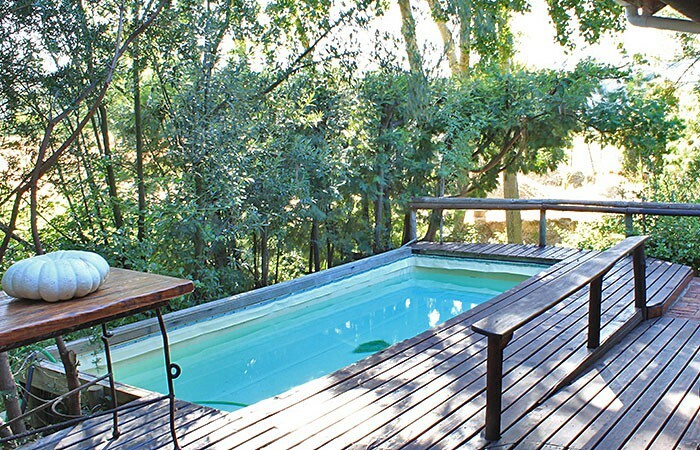 These are separate and secluded with their own outside seating and portable braai. 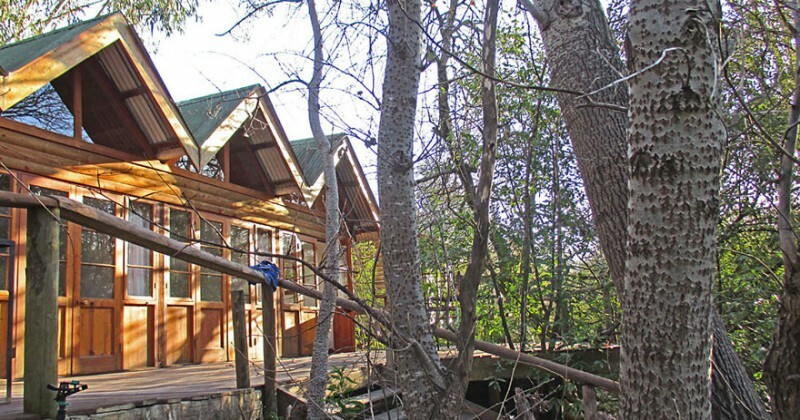 Paradise Flycatcher is our largest cabin, settled on its own under poplar trees. It has been designed with physically challenged people in mind, and is wheelchair friendly. It has an open plan kitchen nook with fridge, microwave, kettle, crockery and cutlery. It sleeps 2, but bunk beds can be added by arrangement at additional cost, to sleep 4. Hadeda is tucked away at the edge of the orchard behind a latte fence. With its double bed and bunk beds, it sleeps 4. It has a shower, basin and toilet en suite. R600 per unit per night for 4 people. 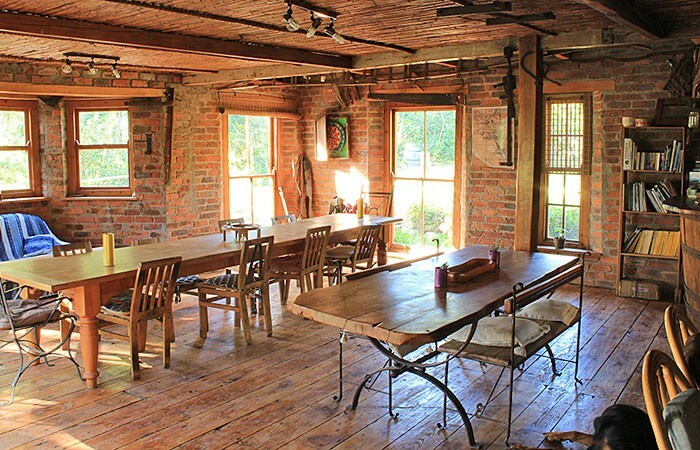 The Flat, situated downstairs in the Barn, looks onto a small corner of the garden. It has a double bed and bunk beds and sleeps 4. Its en suite bathroom has a bath, toilet and basin. Its little kitchen nook has microwave, kettle, fridge, cutlery and crockery. R600 per unit per night. 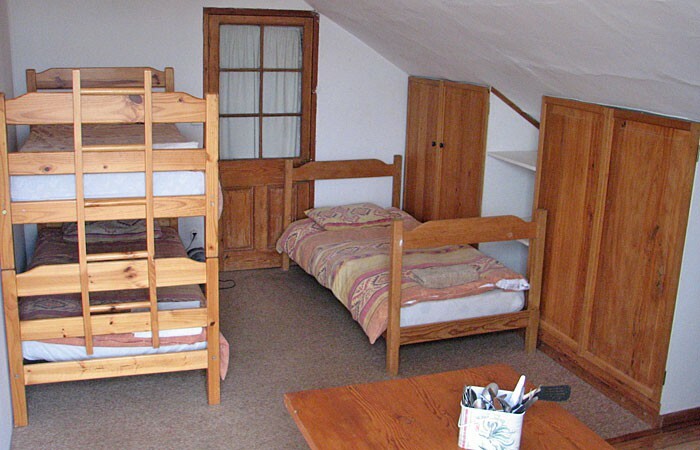 Yellowwood is our 5-bed dorm, upstairs in the Barn. 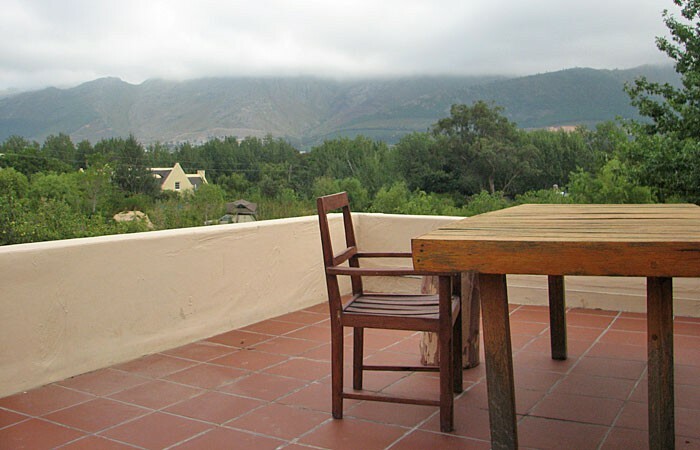 Its large outside veranda has a fantastic view over the valley and mountains. It has three beds in the bedroom and two in the open plan living area. It has its own bathroom with bath, toilet and basin. 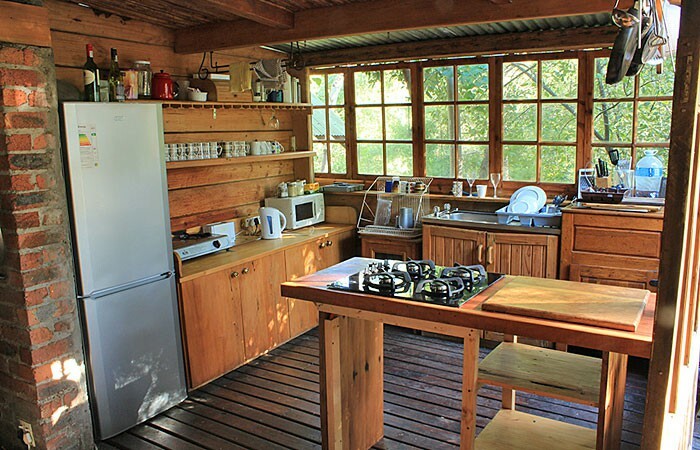 It has its own kitchen nook with fridge, hot plate, microwave, cutlery and crockery, as well as an outside braai area. 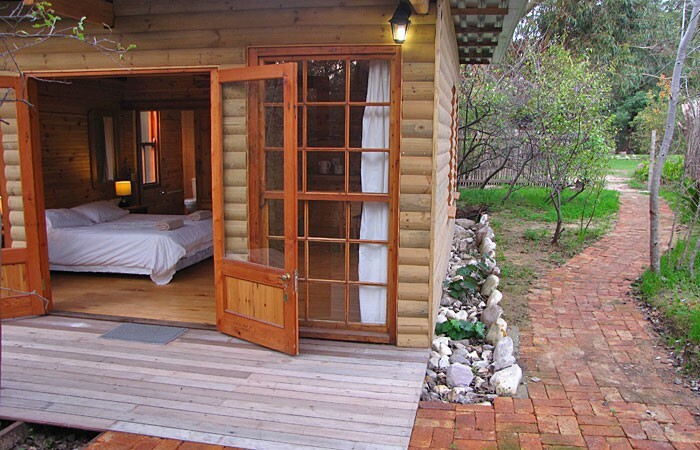 Mongoose is our 3-bed dorm, nestled at the edge of the orchard and vegetable garden. It has bunk-beds and a single bed. It shares a shower, toilet and basin with the campers. R150 per person per night. 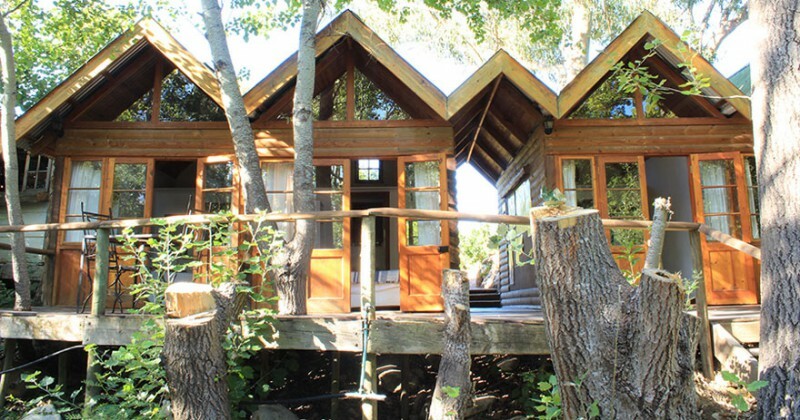 3 sites for two-man tents are nestled amongst the pear trees, close to shared ablutions and the Otter’s Barrel. 2 sites for Campervans are situated near the dam, with a short walk to the shared ablutions and the Otter’s Barrel. Campervans -- R200 per site.